Security Alert: Don't forget to Reboot your Computer! Data security doesn't stand still! There were twelve Patch Tuesdays in 2015 and another twelve are planned for 2016. The updates never stop. "Patch Tuesday" is the day each month that Microsoft releases their newest security updates, typically the second Tuesday of the month (January 12). The details change every month, and in January there were six "critical" and three "important" security patches affecting Microsoft Office and Windows. Remember that security patch updates are required for the MA Data Security Law and other industry security compliance standards such as HIPAA. Also, remember that security is not "set it and forget it". It's a constantly changing landscape. About Reboots... Many security patches require reboots, and some security patches are sequential and will not install without the prior patch. 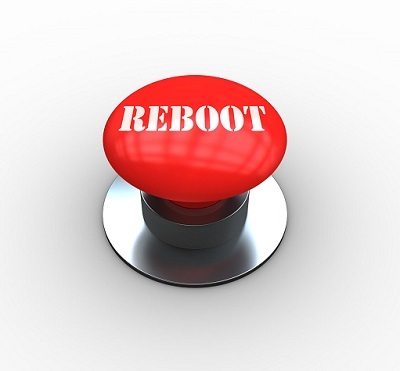 If you're on a support plan with us, required automated reboots are typically only allowed over night. If you have a laptop and just put it to "sleep", remember to run at least a weekly reboot. As a general rule, never leave un-saved work open on your system. Also, VERY IMPORTANT: NEVER SHUT DOWN YOUR SYSTEM IN THE MIDDLE OF INSTALLING SECURITY PATCHES. Your system will warn you to not shut it down, but sometimes it takes a long time (depends on how many patches are released each month and how many require reboots, and other factors). We all get impatient at times, but keep in mind that you can seriously damage your system by interfering with the updates. We're mentioning this because more than one user inadvertently did this in the recent past (with bad consequences!) and we want to be sure everyone is aware. Also, as a general rule, the regular reboots will help your system run more efficiently, so don't skip this step! The best time to reboot? It's up to you, but plan on rebooting at least once a week. Your computer will thank you!